Nasty Nigel's Derby Ram a timely reminder up Magpies! | NUFC Blog. Nasty Nigel’s Derby Ram a timely reminder up Magpies! The predictable platitudes are already forthcoming from within, as Chris Hughton seeks to demonstrate how hurt Newcastle players were by last night’s heavy defeat to Derby County. Despite being denied an apparently legitimate goal in the second half and with some dubious decision from the officials, Hughton refused to blame anyone but the collective in black and white. Having watched Derby categorically destory our impressive record-breaking unbeaten run in the league, supporters were given a reminder that the Cardiff demolition was perhaps a distraction from the otherwise inauspicious form leading into and out of the Christmas period. Speaking after the game, Rams boss, Cloughie didn’t necessarily disagree that the scoreline flattered his side ever so slightly but was inevitably please with the application and performance overall and not least the result. So what do I think? Most of you already know but as I implied earlier, the Cardiff game might well have been a one-off. They were genuinely horrible on the night and I think most who watched it, felt like the scoreline flattered us. As a result, cliched or not, it papered over the cracks of recent form and unconvincing performances. The new lads at the back have probably got a bit of an easy ride as well in the last few games and hence expectations may be slightly inflated. This isn’t the end of the world by any means and it might just prove to be a minor blip. But Cardiff aside, we have performed poorly on a number of occasions and got away with it. It seems to me like if a club has the ability to score goals then we might struggle and we have some tough opponents ahead of us, capable of scoring goals. Hopefully I’m made to eat my words on Saturday and we turn Swansea over and kick on but even with my optimistic view last night, the season has a long way to run yet and you can’t help thinking we need to pick up some consistent form again sooner rather than later and the players need to know that too. Hope it is just a blip and we can win our next Match…not the result I expected but hey ho it’s done now and on to the next one. I think I’d become complacent too, because I was shocked when I saw the scoreline. I think we’re missing the drive of Taylor and Smith and that BBM is right about the Cardiff game being a blip brought about by their bad day, the home crowd, and our newbies’ energy. I think this will be a blip too, though. We’ve not lost by 3 before… we’ve hardly lost at all.. and we have to expect some wild variations in form in this league. Like we say: on to Swansea, and trust in the lads – including Hughton and Calderwood – to turn it around and deliver. More ref gaffes, another loss. How many games have we lost? In those games, how many pens against & disallowed goals for us. Clint Flick – grow up. It’s always someone else’s fault isn’t it? Nice approach pete, you should be a diplomat. Is it actually true though. Goal disallowed that woulda made it 1-1, true? Disallowed for a foul on our player, der!. Well, mindful of last night’s drubbing, it’s comforting to read that we’re planning for medium term improvement already. One, we know and love, the other with lots of potential. Why do pap publications always link us with players who’ve played for us before? Could it be that they have no clue? When was the last time they got one correct? Refs seem to be pointing to the spot left right and centre for West Brom the last load of games yet when it comes to defenders completely killing Carroll in the box its just play on…I’d say we have had around 10 blatent penalty shouts for us turned down this season. Inconsistancy in referees really p&*£/s me off! Imagine if it were true lesh? it’s down to the players now, end of. They’ve gotta stand up & be counted. Although recently, we’ve had the upheaval of most of our defensive line injured. & a whole bunch of new players to bed in. So not worrying too much just yet. They better gel fast though, this months games are all important, or what? Hey Clint, If you had have been there you would have seen that the referee blew his whistle way before the cross even came in, it was most definitely not a disallowed goal. The Derby defence stopped for the free kick. Pete is correct; it’s always somebody elses fault. Newcastle were disjointed with too many individuals; Derby played as a team. pete seems to disagree mate. I guess it doesn’t help when ssn only shows the pen being taken, not why it was given, usually a bad sign. hi lads, derby fan in peace. i know you must all be very disappointed with last nights result,but christ you have been on a super run of results.don’t be so hard on your team.you should have a season like ours !! !on the night we just played better than you,but your team will be there at the end of the season i am sure, and good luck to you as i like nufc and geordies for that matter.just make sure you beat the red scum to the title and shut that little winging dwarf davies up.good luck. I told you all yesterday why we needed to change the side each game, we were predictable and tactically wrong for Derby away, and we got picked off. We are a solid championship club not Brazil 1970. Play to our strengths and we will win promotion. Listening to fans is a recipe for disaster. And Derby will get promoted next year. Have you played football before? How can you say refs don’t change games? For example our FA Cup game against west brom. Ref changed the game there without a doubt. I could even go as far back as last seasons game against Fulham at home. Viduka scored a good goal, ref made the incorrect decision to disallow the goal. Would have drawn 1-1 giving us the point to keep us up. Outrageous! you know what the teams in this league remind me of? Us, the past few seasons, fantastic against the Arsenals and fail to turn up agains the wigans! Every team gives 100% against us and i think its really sad and pathetic to do that to the club and to the fans, look where it got us, relegated! I hope they carry on doing this when they are lingering in mid table boredom of the championship and we are in the prem! icedog, i’m trying to make the point that referees do change games and in a massive way at that. I know we were not good enough to stay up last season without a doubt. Another example would be the first game of last season at Old Trafford, Jonas on the break, one on one in the box, Vidic comes across him and takes him out and not the ball but still the ref waves play on. I’m not trying to excuse the performance of our players last night or last season i’m just saying offical’s performances are diabolical most of the time. I was also there last night and the difficulty was that the referee blew his whistle directly after the foul had been committed. What others are suggesting is that he should have (in line with FA directives) waited to see if an advantage followed. If he had waited a few seconds, the ball was crossed and headed in. The challenge on carrol for that header was not a defender who had heard the whistle and stopped playing, he believed that play was continuing. If the ref did his job as he should have done … the whistle would not have been blown, and the goal would have stood. 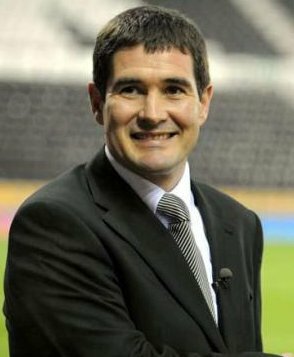 Having said all that … Derby still deserved to win … so Paul … good luck with promotion next season …!!! I’m afraid Len may have it right. We may not like playing more defensively away from home, but it is what got us to the top of the table. All that went wrong around Christmas was that our attack was too one-dimensional and got sussed. We’re missing Taylor – one player whose head doesn’t have a ‘down’ position. Smith, too, was needed once that first goal went in. The formation we finished with was probably what we needed at the start – but could CH have seen how things would unfold? Let’s not take it as more than it is – and the headline of this article pretty much sums it up. Aye Bowburn, I thought I’d been sleeping for a couple of months and had woken on 1 April! If Bam Bam’s return was really on the cards, I’d say that someone’s taken leave of their senses! We cant win every game and after the run we have been on we had to lose sometime, in a way its good it wasnt forest or West Brom, Derby have raised their game and we are the most sought after scalp in the league. I can understand fans complaining of decisions against us, we are not getting them at the moment so lets hope that they are evened out in the second half of the season. I was amazed when Hughton said we have only had one penalty awarded to us all season. Hopefully this will be the big kick up the arse the players need to get them going again, we didnt play badly against Derby, hopefully this has been a blip. On the subject of refs and impacts on results: I can’t get at the link from here at work, but if you check out any of the ‘right result’ tables out there, which plot the prem tables as they would be if refs had made the correct calls, you’ll see we finished about 13th last year. This year, I suspect we’ll be a bit lower than we are. I think we’ve had more than our share of advantageous decisions and luck, and to complain now is a bit daft. SlushPuppy – one swallow doesnt make a summer – just as one defeat doesnt mean our seson implodes – its all very much still in our own hands – we dont need any help but will gladly accept it if results go our way. Just a point of view from ‘the other side’ – it was a penalty because Gutierrez caught the back of Tongues ankles. I was just behind the goal where it happened so I had a clear view. Gutierrez was nowhere near the ball. Maybe Tongue was clever and just slowed down a bit and moved across between Gutierrez and the ball. I am surprised it was given though, because – like you apparently – we don’t seem to get those decisions, especially against the big clubs. Your disallowed goal was a bit of a strange one, and the ref probably should have played advantage, but I think some of our players had already stopped because the whistle had gone. Last season against Forest we had a goal disallowed and a penalty awarded instead, which we missed. We then had another goal disallowed only a couple of minutes after – and both goals scored by the same player. I would definitely agree that the standard of many of the officials in the CCC is generally pretty poor, including last night. So thanks for 4 points this season (again) and good luck for promotion. One thing I did smile about during the game last night was Robbie Savage. Granted … he committed a bad and late challenge and thoroughly deserved the yellow card, but his antics with our support was quite funny. One thing I did not smile about was the 3 young ladies behind me (aged 25 to 40ish – not sure if I may have just offended them) who were decked out in the B&W strips and knew all the songs, but knew bugger all about football. The phrase ‘shut him down’ was used every few minutes whichever team had the ball. Clearly something that they had heard on telly. I am not suggesting that people who do not know much about football should not come to games, because I am constantly taking football virgins to toon away games to educate them in the way of the beautiful game. But if anyone knows these ladies please tell them to only shout appropriate comments, and until they learn the game not to shout at all! TEL – Sounds fair enough. From the radio commentary, Gutierrez didn’t need to make the tackle but he did catch him. As for our disallowed goal, they said pretty much the same thing, if he’d carried on perhaps your defenders would have prevented it. While I’m surprised by the score, I’m not surprised by the result. We haven’t beaten Derby in ages. Who was the team that gave them the points when they were relegated from the PL? NUFC. Derby seem to be a bogey team of ours at the moment. On Robbie Savage – He’s one of those players that you would want on your side. He’s past it now, but in his prime he was underrated, IMHO. Stardust @31 – agree with you totally on that one! Blimey; how often do I say that?? I will be in a nice sunny Spanish bar watching it so I hope so. Signing off until Tuesday – Adios Amigos! Just picked myself off the floor – Not sure I believe you Whumpie – still waiting for the punchline lol.